Windows are responsible for up to 30% of the heat lost in your house during the winter! With energy-efficient window treatments, you can retain the heat and beautify your rooms at the same time. 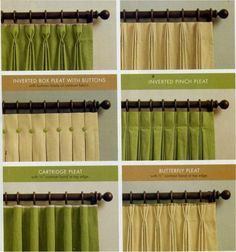 Insulating window treatments help you reduce energy consumption and save on heating costs by as much as one third. You can maximize your window coverings efficiency by opening them during the day when they catch free solar heat and then close them at night to keep the heat in. 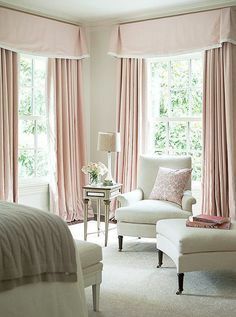 Correctly fitted draperies are the best window treatment to keep the warmth in your room, not going out the window. 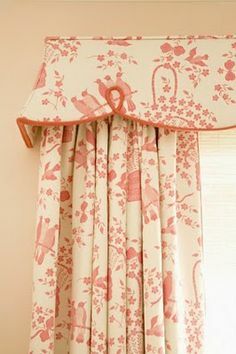 The draperies need to be mounted properly over the window and hang to the floor to be most effective to reduce heat lost. The sides must have a snug return to the wall to close the gap. 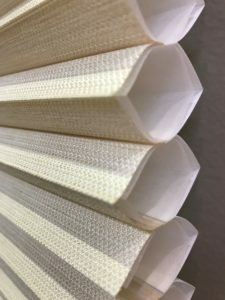 The correct lining can make a big difference in the energy efficiency of the window treatment. Interlining, an additional layer of flannel fabric placed between the face fabric and the lining, will save you in heating costs and keep your room significantly warmer. 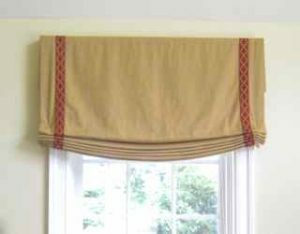 Interlined draperies are the best treatment for warming up a drafty door. 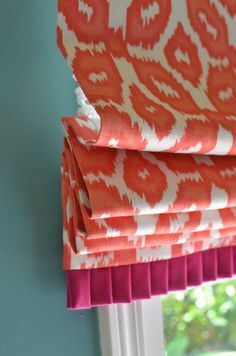 Not quite as effective as interlining, but more effective than standard lining is a napped sateen lining, also called two-in-one. It has one napped side that looks like flannel and the other side is the standard sateen lining. Blackout lining has several thin coatings of foam added to a lining fabric that enables it to be room darkening, but it also has insulating properties and can dampen noise to create a quieter room. Shades mounted on the frame help block the drafts! This simple treatment with the flannel or blackout linings can also be very effective when well fitted. Also called honeycomb shades, their cells trap air warmed by the sun and hold the air as a barrier for a draft. Hunter Douglas Architella shades have the highest rating for energy efficiency. Think about the impact all of your window fashions can make. Not only to beautify your home, but to keep your room warm and comfortable and to help you reduce costs by using their energy efficient properties! 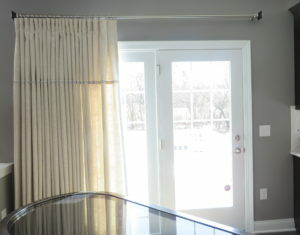 Quality window treatments are truly a wise investment!